Which one of these features was available on the 1982 Epson HX-20 notebook computer? 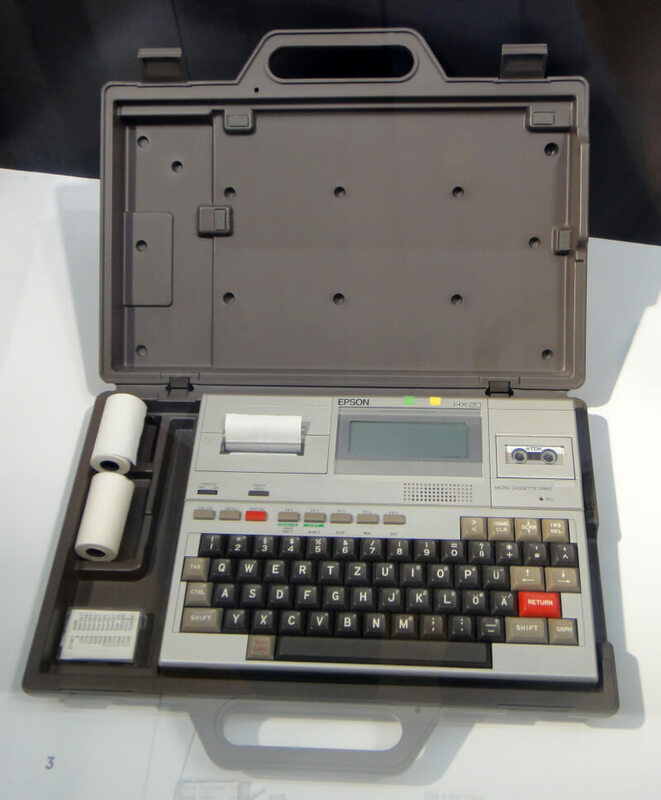 Regarded as being one of the earliest portable computers and perhaps the first "notebook" PC, the Epson HX-20 was announced in November 1981 for a starting price of $795 with all of the features listed above, which is remarkable when you consider that a microcassette drive at the time could have easily cost more than $100. Its 120x32 LCD was driven by six µPD7227 controller ICs drawing 40x16 pixels each and the system used a proprietary operating system consisting of the EPSON BASIC interpreter and a monitor program. Other oddities include a barcode reader connector, a 5-pin DIN connector for external expansion such as a floppy disk unit and display controller, and add-ons such as an acoustic coupler and an Augmentative Communication Device. According to Byte magazine coverage from 1983, the HX-20 proved largely unpopular for a year or two post-release because of its lack of software and accessories. By the time sales started picking up, rivals such as the TRS-80 Model 100 had been inspired to deliver offerings of their own and that particular Tandy model came with a far superior 240x64, 8-line LCD. If you happen to come across an HX-20 today, you may find that its Ni-Cd battery has died, but it can be swapped for something like an NiMH unit (you can even use four AA batteries in a holder), which typically won't dent the machine's collectible value.